I need help, because my POD doesn't work properly i guess. Actually POD not sounds. I use it for guitar. My connection sequence is there: | GUITAR signal -> Guitar IN | LIVE OUT -> Marshall MG15(to Clean channel). And it's sill doesn't working. I read manual, and did all steps in tutorial, which provided by that manual. 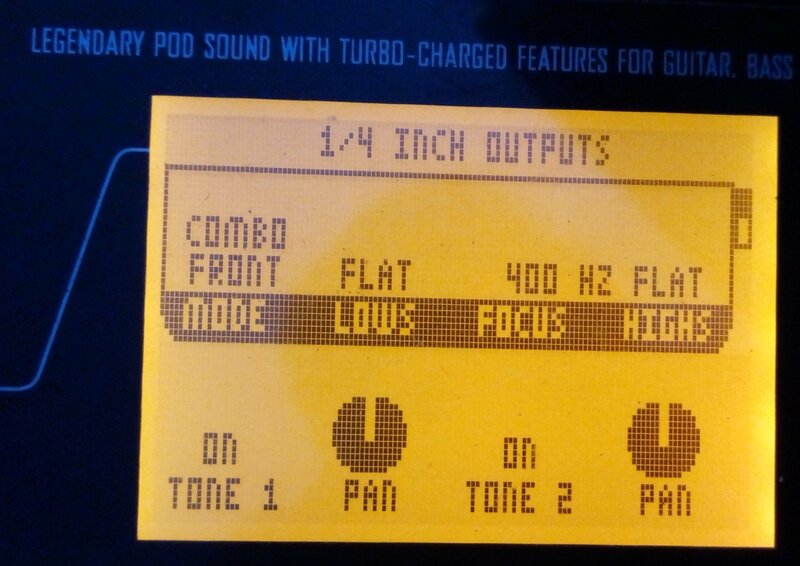 I set all volumes on a middle including Tone Volume, Master Volume, 4th small stuff under screen on +12 dB. 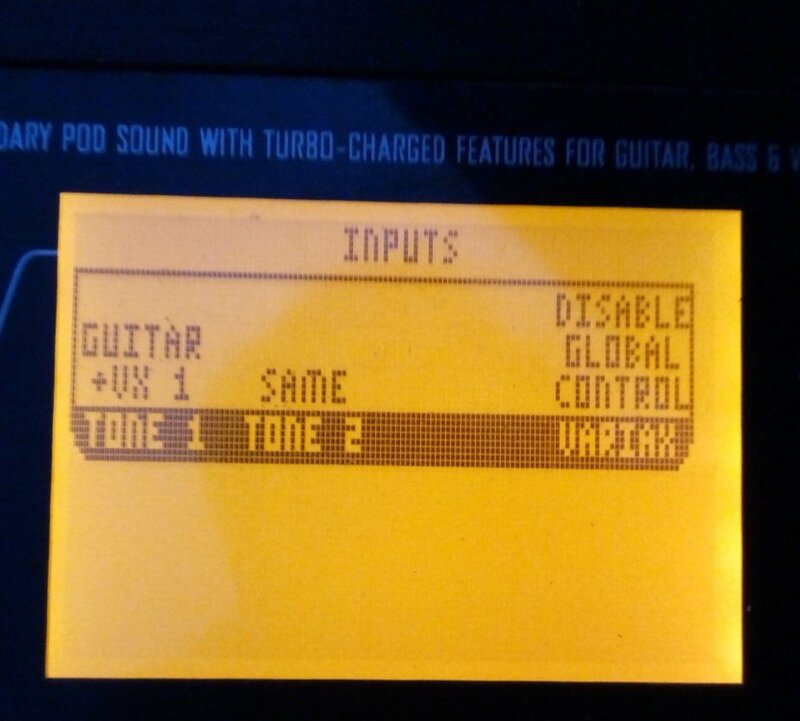 My guitar volume is turned to "10". Volume and gain on Marshall as well. I received a lot of advices about different combinations of output/input gates. It not helps. Forgot to say: Input gate is OK, because when i enable tuner and try play some string on guitar, POD determines the note. So that determined note is true, i examined it by another clip-tuner. I think there's problem in output. I attach video, but i talking on Russian there, but u can just mute, because you won't lose sense of video. On the X3 Live device there is a switch (above and left of the Master Volume knob) to set the Live Outputs to Line or Amp level. Make sure it is set to Amp level for your purposes. If the switch is set to the middle position (neither Line nor Amp) it acts as an overall Mute setting, which fits the symptom you describe. AMP/Line knob is set to AMP, because i use Clean Channel of Marshall. 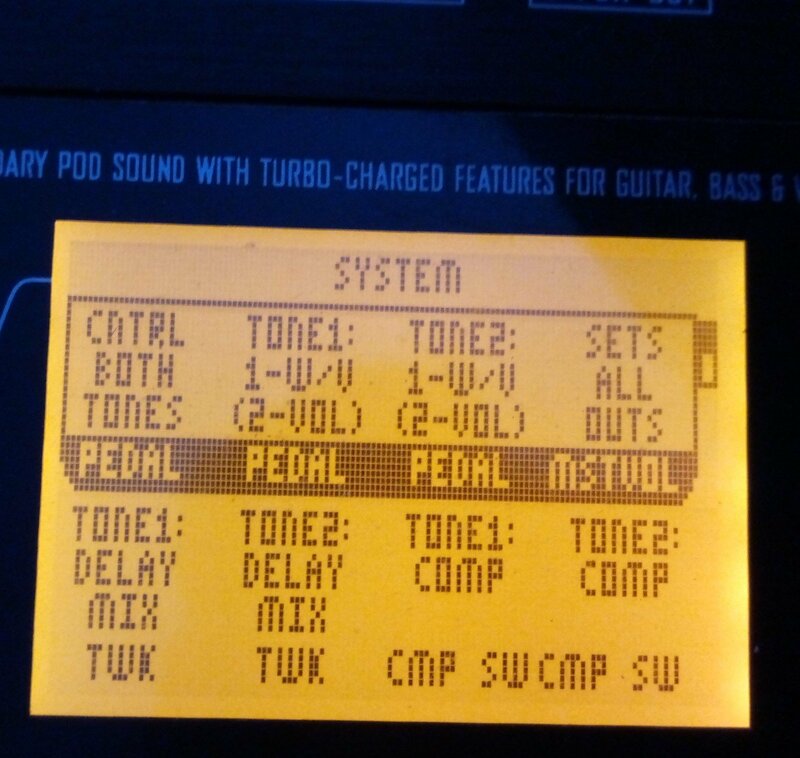 Guitar works normally when it is connected to Marshall directly. Marshall as well. My bassist said, that my problem occurred because i use noname adapter. Can it be so? Although i compared features of original adapter to my adapter. My adapter has AC Input 100-240V 50/60Hz(For my country 50Hz) and Output 9V and 2A. But if X3 works, lights. I hope i need not blame adapter. Let me leave some photos of my current connections. May be i made a stupid mistake. I have X3 live and I'm having a problem I notice in my effect my effect 17 don't have sounds and after 17 and up all the effect are one effects and it's all user effects set. I tried to reset into a factory default but it's still the same issue. 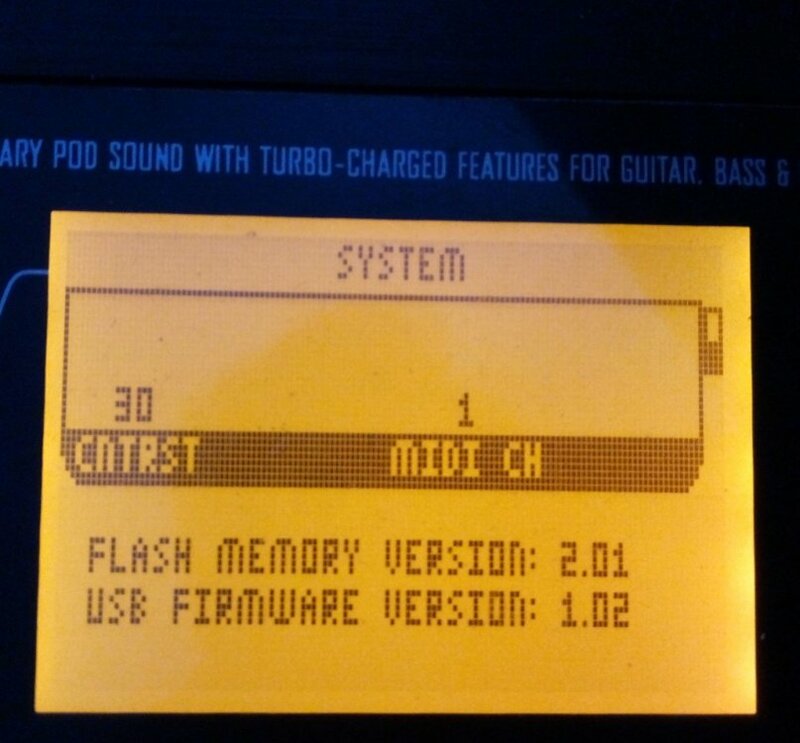 And I notice my effect USB is connected in but when I scanned it in my gearbox it shows error. Is there anyone can help me? … on the edit page. Try that. Hey i have this same thing and i have an idea. I just discovered that i was using the power supply for the Variax box thing instead of the X3 power supply, both provide enough power to power the unit and you can tune with it but not enough power for the outputs. I will be testing mine tonight again with the correct power supply to see if this solves my issue. The edit page photo shows the incorrect output configuration for what he is trying to do. Don't go messing with anything other than the correct supply for the product you are using.